After days of conflict with the Central Elections Committee and demands for vote recounts, Naftali Bennett and Ayelet Shaked close the book on Israel’s 2019 elections. Israeli Minister of Education Nafatli Bennett and Justice Minister Ayelet Shaked deliver a statement during a press conference in the Israeli parliament on Nov. 19, 2018. Credit: Miriam Alster/Flash90. 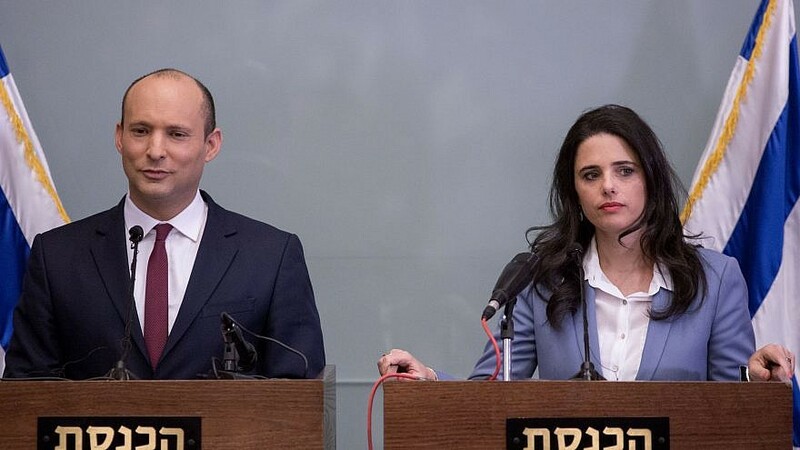 (April 17, 2019 / JNS) After days of conflict with the Central Elections Committee and demands to recount votes to prove that they had in fact earned the 1,400 necessary to enter the Knesset, the New Right Party of Education Minister Naftali Bennett and Justice Minister Ayelet Shaked conceded defeat on Tuesday, closing the chapter of Israel’s 2019 elections. “We did find irregularities at the polls … but that, in of itself, is not sufficient to cancel the election results. Our legal counsel will examine the findings in the next two weeks, but at this stage, we are moving on,” he said. Earlier on Tuesday, New Right chastised the elections committee for moving forward with publication of the election results despite its ongoing investigation into election fraud, but the party ultimately conceded on Tuesday evening. In the days prior to the election, polls predicted that Bennett and Shaked would secure as many as six seats, well above the threshold to join the Knesset. Bennett served as the leader of the Bayit Yehudi/Jewish Home national religious party, which won eight seats in the 2015 national elections. However, after he and Shaked’s reputations grew as up-and-coming cabinet members due to Bennett’s rising recognition as a spokesperson for Israel and major advancements in the Justice Ministry by Shaked, the pair split off to create a party headed jointly by them and geared to a broader right-wing constituency. However, New Right was not the only party to accuse the committee of mishandling votes. Since the election the United Torah Judaism Party has also condemned the committee for inconsistencies at polling stations, and for inaccurate counts. The CEC responded that it took the claims seriously and had investigated, but found no significant errors. UTJ was subsequently found to have earned one additional seat, which was removed from the Likud roster.